At the Interactive Advertising Bureau’s Annual Leadership Meeting, AOL announced the launch of ONE by AOL: Publishers bringing together the company’s content and distribution capabilities. The company says the offering will simplify “an overly complex ecosystem and provide holistic, tailored solutions for publishers.” It comes as the result of six years of AOL investing over $1 billion in publisher technologies. It includes audience engagement, analytics, content distribution, and revenue management elements. The product is “tightly connected” with the ONE by AOL buying platform, the programmatic platform AOL launched in 2014. The company discusses data analysis and optimization, mobile-first, and video benefits here. 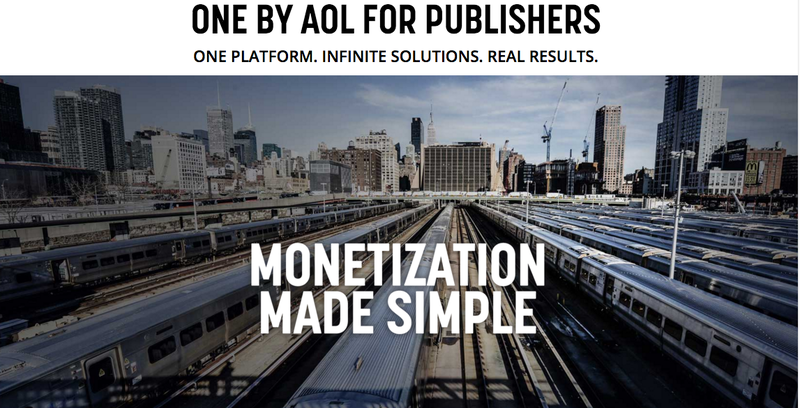 ONE by AOL: Publishers includes a new video activation solution aimed at helping publishers capitalize on people’s increasing consumption of mobile and video content. Publishers get access to a set of video management and curation tools and a new video content player, which provides deeper audience and performance data. In related news, AOL is acquiring AlephD.